Cetatea Albă is placed on the western shore of the liman of River Nistru, not far from the Black Sea. The fortress was erected probably by Byzantines or Genoese before the founding of the Moldavian state. In antiquity on these places laid the Greek city of Tyras. Tyras is also the ancient Greek name of River Nistru. The fortress was named Maurocastron or Asprokastron by the Byzantines and Akkerman by the Turks. Cetatea Albă belonged to Moldavia before 1388, year when voivod Petru Muşat was in possession of the fortress. In 1420 the Turks attacked Cetatea Albă for the first time, but the Moldavian voivod Alexander the Good managed to repell them. In the following year the fortifications of Cetatea Albă were repaired and strengthened. At Cetatea Albă were struck coins with the Moldavian aurochs on one side and with a cross surrounded by the legend Asprokastru on the other side, possibly during the rules of voivods Alexăndrel and Petru Aron, between 1449 and 1457. Here were also countermarked with a cross - the coat of arms of Cetatea Albă - small silver Tartarian coins. The Moldavian voivod Stephen the Great payed a lot of attention to Cetatea Albă. He built there the main gate of the fortress and the courtain wall of the third enceinte. In 1484 the Turks attacked by surprise and the fortress surrendered. Stephen the Great did not have the time to come with the military aid to the fortress. It was a major military and political blow received by Moldavia. In his attempt to regain Cetatea Albă (and Chilia, the Moldavian fortress on Danube occupied by the Turks the very same year, 1484) with the help of the Poles, Stephen the Great personally sworn allegiance to king Casimir IV Iagiellon. The Polish help was of little importance and Cetatea Albă could not be retaken. Between 1484 and 1812 the city was a Turkish raya. After 1812 Cetatea Albă was occupied by the Czarist Empire together with the eastern half of Moldavia, region renamed Basarabia subsequently to the seizure. The city became Romanian in 1918. 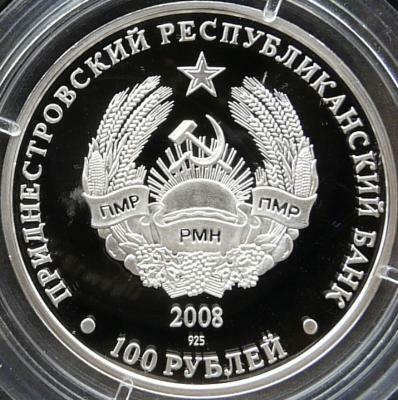 After WWII the Soviets attributed the Bugeac to the Socialist Sovietic Republic of Ukraine. As a consequence, today Cetatea Albă belongs to Ukraine. 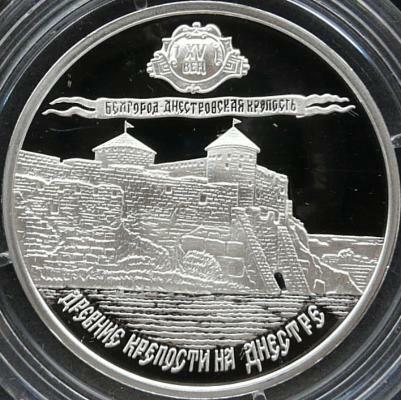 Cetatea Albă appears also on a coin issued in 2000 by Ukraine, belonging to the Old Cities of Ukraine series.